This concept of redressing our past into something varietal and dynamic today is what keeps life going after all, isn't it? That's precisely why the otherwise average game's soundtrack spoke to me, and why I was so instantly enamored with Koi. 's debut album. Maelstrom is a memento to the moments that shaped our lives, that carve otherwise forgettable days into something truly special. 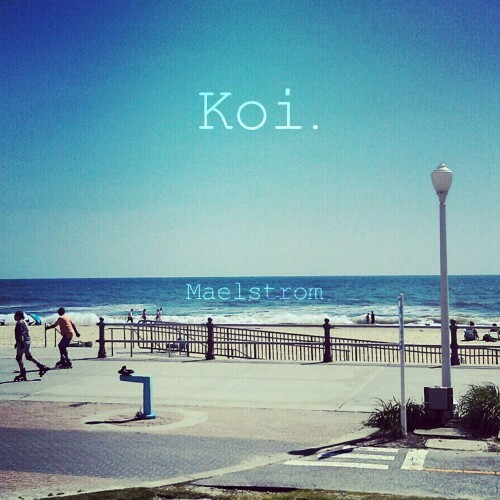 Maelstrom’s an easygoing listen, about as calming as the beachfront that comprises its artwork. Chillwave has never quite been as serene or intimate as it is on the finest moments here; “Lime” finds itself in a euphoric daze, while “Gauss” is as patient as it is glossy. Most of the album prides itself on being unerringly optimistic, and whether this is accomplished through reverb-colored handclaps or carefully calculated textures the end result is as palatable as anybody could have hoped. Perhaps the only fault with Maelstrom is its indecision towards the grand finale, with “Piranha Helmet” forcing contrast with a faux-enigmatic air. “Beirut” is similarly out of place in the beginning too, but all in all it’s a track that does an acceptable job of keeping the album’s pace from being too monotonous. The minor discrepencies in overall mood can easily be forgiven when looking at how irresistible the full-length is as a whole. It’d be a bit much to ask you to imagine Neon Indian scraping together a soundtrack for an eccentric arcade game, but it’s one of the best descriptors I can create. Just imagine that energy rush you got after those long nights in front of the TV, pining for just that goal for hours upon hours, and then the satisfying feeling that you actually got it. 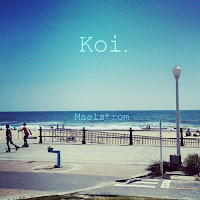 Maelstrom has a distinctly retro feel, but it knows its place in the current world of electronic music. It’s an incredibly easy listen, simply because it doesn’t go out if its way to be complex. There's no need to complicate an album when it's as inherently catchy as this, and perhaps that's why Maelstrom's spirit is so reminiscent of the music of our past, because at the end of the day it feels so familiar.